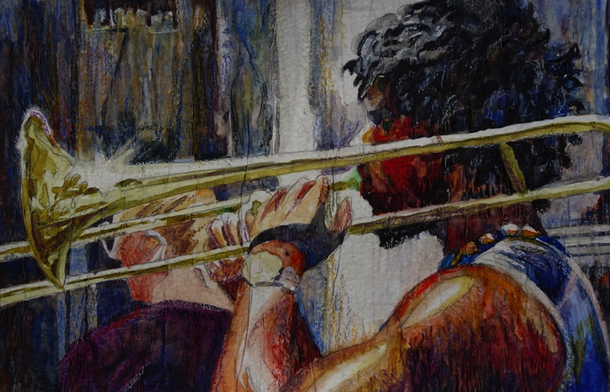 Did you know that jurors for shows / exhibitions at the San Diego Watercolor Society provide comments / feedback for some of the artwork accepted into the show? 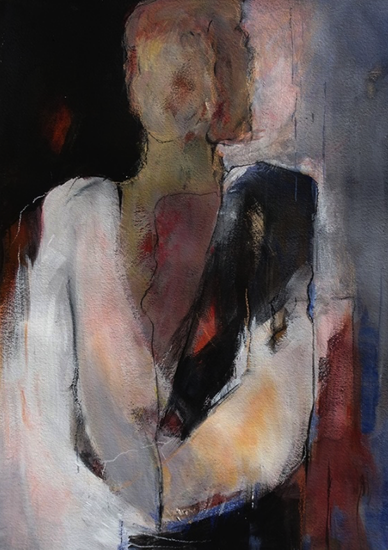 The juror for the March 2019 Member Show “Understated Surfaces” was artist, Nancy Oleska. Her comments can be found below. These paintings and many more are for sale in our Online Store! 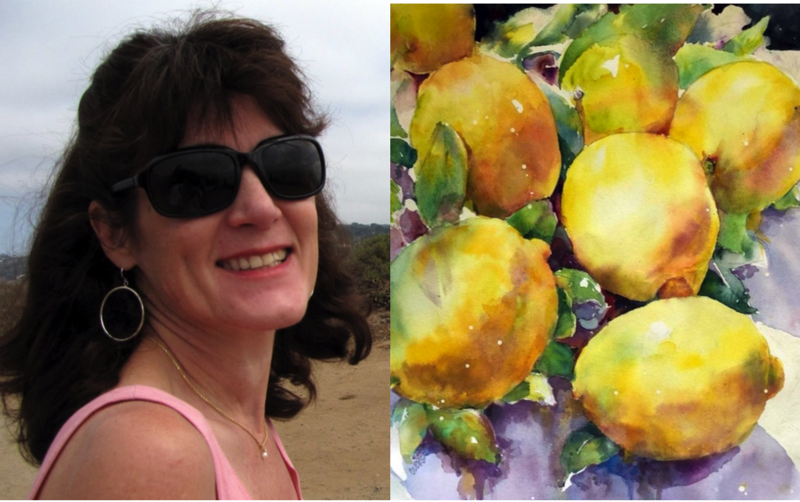 Nancy Oleksa is a versatile watercolor artist who has taught hundreds of southern California watercolorists. She makes her home in the beautiful City of Poway and finds inspiration in the people and landscapes of the region. She is a graduate of the Art Institute of Pittsburgh and was a successful illustrator before finding her niche by sharing her passion for color, light, and watercolor through helping others understand and utilize color theory in their paintings. Having her artistic talents recognized early enabled her to develop a portfolio from which she received a full scholarship. 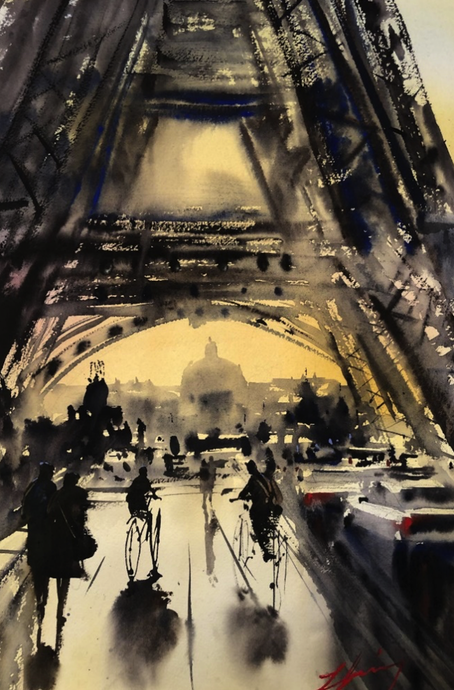 Her paintings have been juried into the exhibits of Watercolor West, the San Diego Watercolor Society, Northwest Watercolor Society, and the National Watercolor Society. 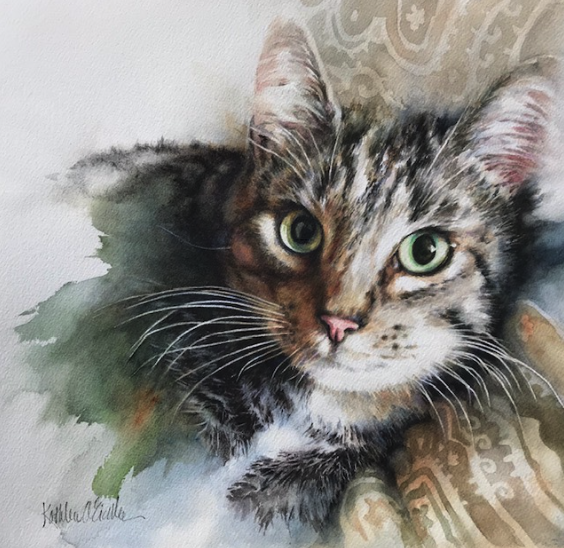 She is known for her sensitive colorful watercolor portraits and the utilization of experimental surfaces in combination with granulating pigments in her experimental watercolor works. I love the way that this painting engages the imagination. Its superlative handling of edges draws us in and adds mystery to the piece. 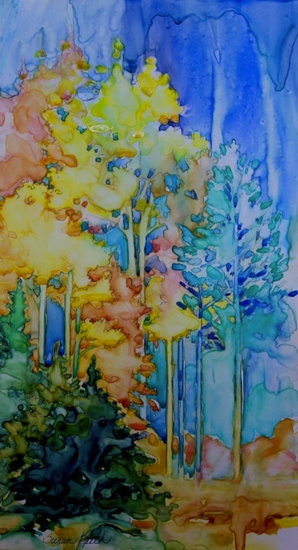 The freshness, immediacy and atmosphere of this work makes it come alive and sets it apart. The drawing is just incredible. Every element of this painting is carefully thought out, and every section of the painting is beautiful. There’s a lot of detail, but it’s not over-done. To me, this painting is all about surface texture -it is velvety soft, but the bold shapes and contrast make it exciting and different. I liked how the artist was able to unite the composition through the careful placement of the negative spaces. 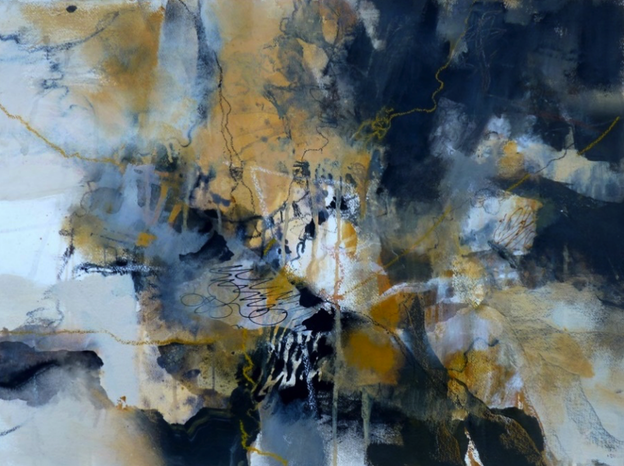 The delicate trapped negative spaces combined with jewel-like color that seems to dance over the surface of the paper make this painting a joy. This entry was posted on Thursday, February 28th, 2019 at 5:28 pm	and is filed under Member News, Shows / Exhibitions. You can follow any responses to this entry through the RSS 2.0 feed. You can leave a response, or trackback from your own site.